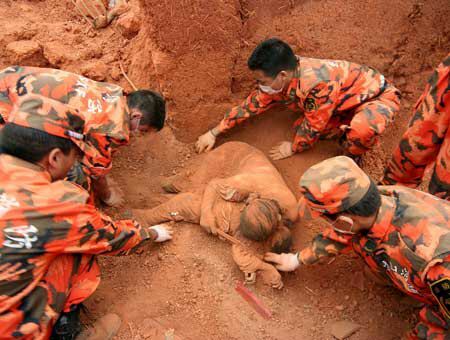 This is a true story of a Mother’s Sacrifice during the China Earthquake. After the Earthquake had subsided, when the rescuers reached the ruins of a young woman’s house, they saw her dead body through the cracks. But her pose was somehow strange that she knelt on her knees like a person was worshiping; her body was leaning forward, and her two hands were supported by an object. The collapsed house had crashed her back and her head. With so many difficulties, the leader of the rescue team put his hand through a narrow gap on the wall to reach the woman’s body. He was hoping that this woman could be still alive. However, the cold and stiff body told him that she had passed away for sure.